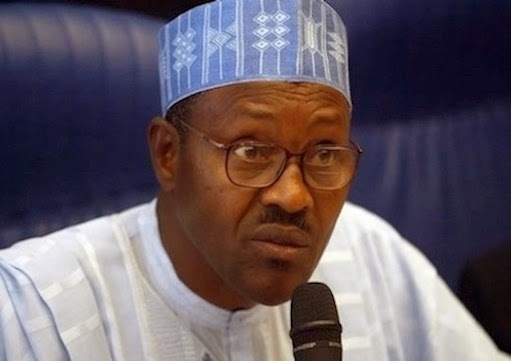 ABUJA—THE President- elect, General Muhammadu Buhari yesterday painted a gloomy picture in the economic development of his administration as he said that the decline in the revenues due to fall in oil prices poses a great threat to his administration’s development agenda. GBuhari-oilen. Buhari who visited the newly elected Senators and House of Representatives members who are undergoing induction course in preparation for the 8th National Assembly in Abuja also said that the decline in revenue would affect the reconstruction of devastated areas in the country as a result of insurgency. He reminded the elected members of the 8th assembly of the challenges the nation had been facing which he also said would continue in the near future. The challenges according to him include general insecurity and insurgency that has caused extreme human hardship and destruction of lives, livelihoods that would take over a decade to rebuild across most of North Eastern Nigeria and some parts of North western Nigeria. Another threat to his administration according to him was the devastation and environmental degradation in the Niger Delta area which he said must be attended to. Others include, “endemic corruption which has crippled human and infrastructure development for decades. Unacceptably poor provision of power supply which has had a crippling effect on development of small businesses and indeed the wider economy. Besides, Gen. Buhari mentioned high cost of governance that has been crowding out the nation’s capital and human development, erosion of public social services such as infrastructure, health and education as well as lack of development in the agricultural and solid mineral sectors as areas that should be aggressively addressed. While soliciting the support of the lawmakers, the President-elect said, “The legislature is a critical component and necessary ingredient of democracy and good governance. The legislature by nature is inherently democratic in the sense that all members are equal and are elected representatives of the Nigerian people. “As President-elect, I recognize this fact and believe that legislators carry this heavy burden of representation with all the seriousness it deserves. “For a president to be successful in addressing community development and general welfare of the various people of the country, he or she would benefit from working closely and in harmony with the legislative arm of government. “I therefore commit myself to working with the legislature as development partners motivated by the desire to deliver good governance”. He commended President Goodluck Jonathan for the role he played in the sustenance of democratic institution by accepting election result, saying that Nigeria was in the threshold of history. Bemoaning high cost of governance, he said, “First and foremost, appropriate policies need to be put in place and such policies may have to be translated into laws. “Secondly, the oversight functions of the legislature is critical in ensuring that policies are implemented effectively and transparently. Therefore, my mission to bring integrity into governance would better succeed if complemented with a strong culture of transparent oversight. “There is an urgent need to contain this high state of insecurity. All of you are representing various communities. We need to work together to address the problem from both its roots and manifestations. “The strongest mitigating forces at this point are to redress the power sector deficits, encourage investments that are job creating and focus on human development and reconstruction. We also need to deploy efforts in conflict resolution and peace building in all our communities. President of the Senate and Chairman of the National Assembly, David Mark, who ushered in the President-elect into the International Conference Centre, in company of other leaders of the National Assembly, described the visit as historic. Noting that it was the first time a President-elect was considering it worthwhile to address a joint session of the National Assembly, Mark agreed it was a historic meeting in the journey of democracy. For the Speaker, House of Representative and Governor-elect, Sokoto State, Honourable Aminu W. Tambuwal, Buhari has extended a hand of fellowship to the legislature by his personal visit. Tambuwal however expressed hope that his colleagues would reciprocate Buhari’s gesture by also extending a sincere hand of fellowship to the President-elect when his government fully takes over.